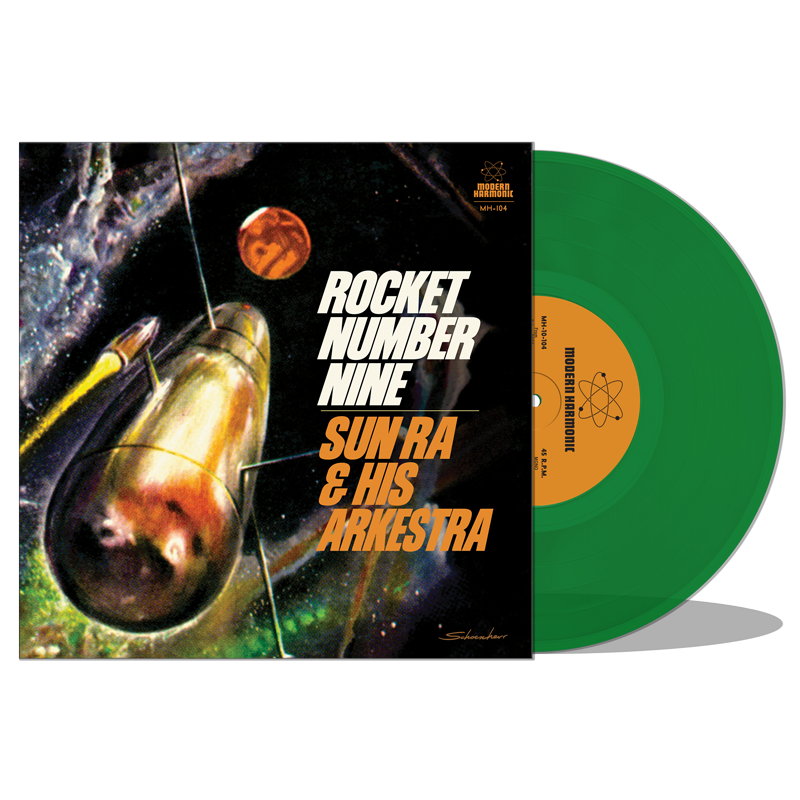 Among Sun Ra's most famous and jet-propelled anthems, "Rocket Number Nine" is heard here in one of the earliest renditions from a marathon June 1960 session, with a staggering, swaggering, hip-bop beat. Ignition. Liftoff. "Rocket Number Nine Take Off for the Planet Venus, Zoom Zoom! Up in the air! Zoom! Up!" Paired with originally unknown recordings, including the driving, bossa nova-infused "Ankhnation" from 1959 and "Project Black Mass" from 1962. More energized and driving in contrast with the rather laconic subsequent versions appearing elsewhere, "Ankhnation" features a feast of traded solos from assorted Arkestral all-stars such as John Gilmore, Pat Patrick, and Hobart Dotson. "Project Black Mass" is straight from the Vaults of Mystery: Voice of the Cosmos in spirit-science precision. Romping, rumbling low tones, glittering, twinkling stars, wanderful wondering. Architecture of moments, milestones of Blackness. Extension out. On green vinyl!